Set in the African Savanna, “The Lion Guard” follows the adventures of Kion and members of the Lion Guard. 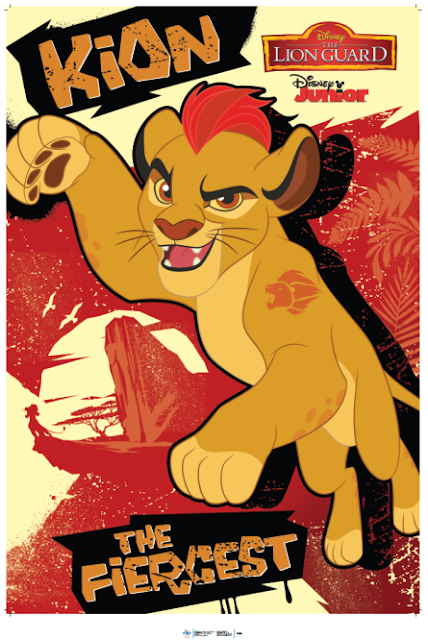 Traditionally, the Lion Guard comprised of the bravest and strongest lions in the Pride Lands. However, Kion defies tradition by calling upon some of his friends who typically wouldn’t have made the cut. From Kion’s best friend Bunga, a fearless honey badger, to Ono, an intellectual egret, to Fuli, a confident cheetah, and to Beshte, a friendly and good-spirited hippo, the newly formed Lion Guard is a rag tag group of unlikely heroes, united in their purpose to protect the Pride Lands. Throughout the series, the team will learn to make use of each of their unique abilities as they face new adventures in upholding the balance within the Circle of Life. · Bunga is very adventurous and impulsive; he rarely acts serious or even sits still! · He is the bravest, as he will put himself in harm’s way in order to save his friends. 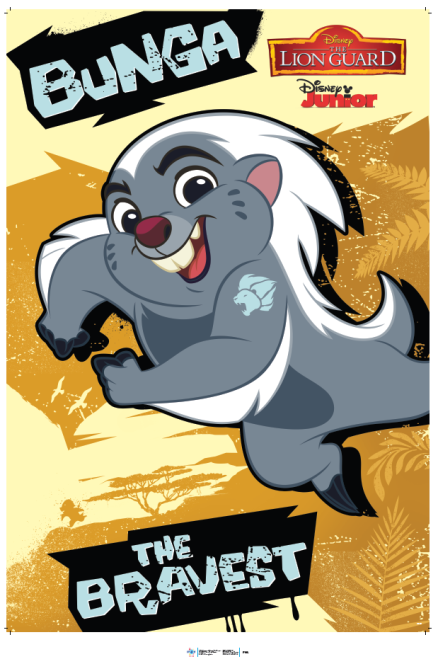 · His catchphrase is "Zuka Zama," which means "Get up, dive in" in Swahili! He is also very optimistic and can turn even the most dire of situations into a fantastic time. 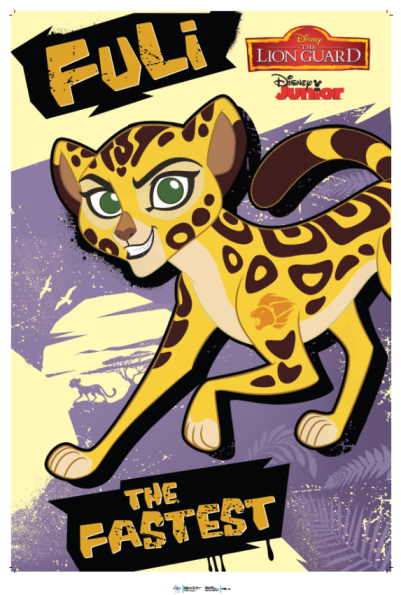 · As a cheetah, she is one of the fastest runners in the Pride Lands, and shows extreme delight for being able to outpace a pursuer of any species! · She is the Lion Guard’s only female member, and is loyal to her friends. 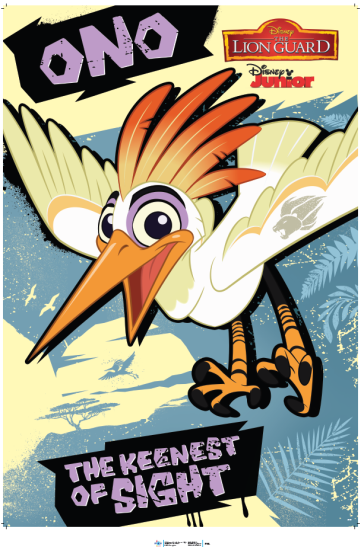 Her catchphrase is "Huwezi," which means "You can't (catch me)" in Swahili! 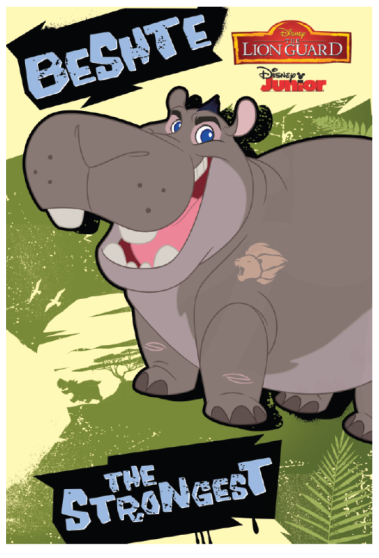 · As a hippo, he is extremely popular in the Pride Lands, and is friendly to everyone. · He is the strongest of the Lion Guard due to his size, but is also very kindhearted and sensitive, and acts like a big brother and friend to all animals. His catchphrase is "Twende kiboko!" ("Let's go, hippo!" in Swahili). · He has the keenest sight in the Pride Lands, as he can fly above the fight to scout out the situation and give directions. Ono's catchphrase is "Hapana!" ("Oh no!" in Swahili). · Kion is the son of Simba and Nala, and the younger brother of Kiara. · He is fun-loving and playful but also takes responsibility seriously. · He can be identified by the red tuft of hair on his head! · His signature line is "Hevi Kabisa", or "Totally intense" in the Swahili language. Kion possesses the Roar of the Elders, a magical gift that causes the lion spirits of the Pride Lands’ past to roar with him, making his roar very powerful! Always love Lion King and made the lil ones watched the DVDs (all series) with me. They have grown to love it too. Thanks for alerting me about Lion Guard - they will go ga ga over it too! Looks like a must-watch series for kids. Those plush toys are so cute!